Blog Action Day is an annual event held every October 15 that unites the world’s bloggers in posting about the same issue on the same day with the aim of sparking a global discussion and driving collective action. This year, a world wide survey was conducted to select one topic that demands urgent global attention. And out of the many topics, one stood out above the others gathering nearly one-third of the vote: WATER! Delhi Greens invites all its readers and fellow bloggers to join thousands of other bloggers from more than 100 countries in collectively raising awareness on one of the most important issues facing our world today. After all, clean water is essential for our survival, but dangerously scarce. Right now, almost a billion people on the planet don’t have access to clean, safe drinking water. That’s one in eight of us who are subject to preventable disease and even death because of something that many of us take for granted. EIGHT is also the figure that represents the number of Millennium Development Goals (MDGs) where “basic sanitation” and “clean drinking water for all” are core issues that need urgent attention. Access to clean water is not just an environmental issue. It’s a human rights issue. An animal welfare issue. A sustainability issue. Water is a global issue, and it affects all of us. 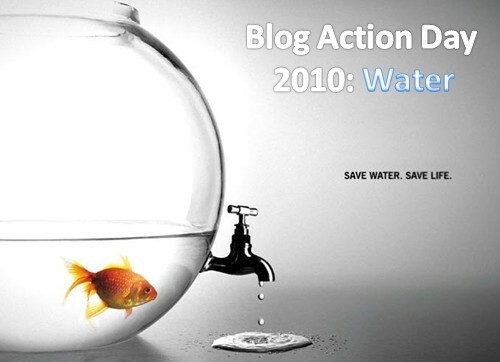 Those of you who would like to highlight a water related issues through the Delhi Greens Blog are also welcome to send their posts to us and we will make every attempt to publish these on the Blog Action Day 2010. You are also invited to send suggestions, ideas, writings and photographs for those water related causes that need to be brought to the world’s attention. Please submit all your feedback to aastha@delhigreens.org by 12th October, 2010. Happy Blogging! You are so interesting! I don’t think I’ve truly read through a single thing like this before. to start my own blog in the near future but I’m having a difficult time deciding between BlogEngine/Wordpress/B2evolution and Drupal. The reason I ask is because your layout seems different then most blogs and I’m looking for something completely unique.